This is an AWESOME story of amazing determination and faith. Please repost and share with others! Sterling, VA – On July 2, nine year old Parker Phillips, a rising 5th grader at Lowes Island Elementary School in Sterling, became one of the youngest Americans in history to summit Mt. Kilimanjaro, the highest mountain on the continent of Africa and one of the fabled Seven Summits, the highest mountain on each of the seven continents. The Tanzanian Parks Authority certifies each person who successfully summits any one of three points on the summit rim of Kilimanjaro – Gillman’s Peak, Stella Peak, and Uhuru Peak which is the highest of the three. 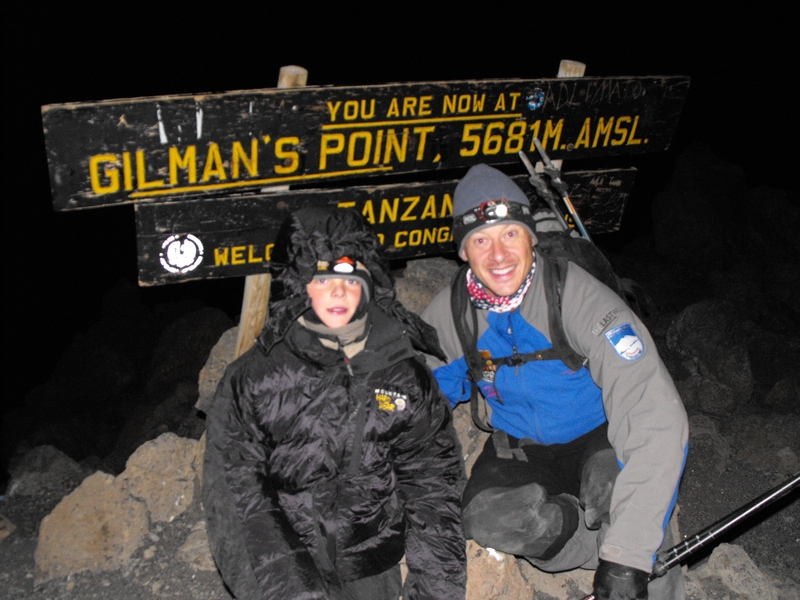 Parker and his father, Todd Phillips, pastor of Frontline, the young adult ministry of McLean Bible Church, reached Gillman’s Peak together with 21 other young adults from the ministry. “I would love to climb the rest of the Seven Summits if my Dad will let me,” said Parker who will turn 10 years old on July 19. Gillman’s Peak stands at 18,638. Mt. Elbrus, the highest peak in Europe, stands at 18, 510 feet; Mt. Vinson, the highest peak in Antarctica, stands at 16,067 feet; and the Carstensz Pyramid, the highest peak on the Australasian continental shelf, stands at 16,023 feet. Parker, his father, and the 21 other climbers chose to attempt Kilimanjaro to raise awareness and charitable contributions for an organization his father started called The Last Well. The stated mission of this non-profit organization is to provide clean water, border-to-border, to the entire nation of Liberia and to share the message of Jesus Christ with those we serve. In just the past year, adventure trips like this most recent one have raised some $200,000 for their mission and have served nearly 50,000 Liberians with clean water in Christ’s name. If you would like to interview Parker for a news story, please contact me directly and I can make the connection for you. Clean water or for that matter, drinking water is one of the resource many communities lack in Africa. Many people spend too much time searching for water just for basic use. I congratulate your effort and determination.